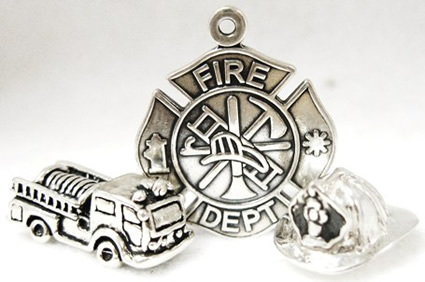 Whether you are a firefighter or you know one, you're sure to find a fabulous piece of jewelry that honors the noble profession of firefighting. We like the firefighter helmet earrings. Very cute! 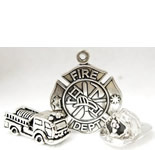 Buy firefighter tie tacs and jewelry at KMC Jewelers.